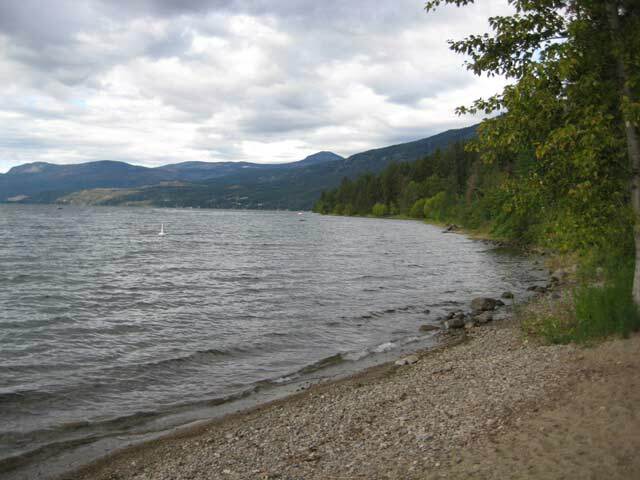 Evely Recreation Site is located on the west side of Okanagan Lake between Vernon and Kelowna approximately 42 km (26 miles) north of West Kelowna on the Westside Road and about 40 km (25 miles) from Downtown Vernon. Evely Recreation Site is named after Glen Evely. The site was originally named Okanagan Lake Forest Recreation Site but was changed in 1978 to reflect on the long-time community service of Glen Evely who died near Vernon on Nov. 13, 2004, while attending an accident while on duty as a volunteer RCMP officer. To get to Evely Recreation Site from West Kelowna travel off Hwy 97 towards Bear Creek Provincial Park onto Westside Road and go towards the small community of Fintry. Once you are past Fintry Provincial Park, the sign for Evely Recreation Site at the 42 km marker. If you are coming from the north or Vernon turn off Hwy 97 onto Westside Road situated east of the O'Keefe Ranch. From here you go 24 km south past the Newport Beach Campsite through Okanagan IR First Nations lands to the 42 km marker on Westside Road. Once on the road into Evely, the road changes to gravel and does a couple of switchbacks down to the lake and the camp host site. There is a small charge to stay here but most of the 50 campsites are located along the water with small private beaches. The campsite eventually dead ends with a tight cul-de-sac to turn around with some sites located next to the lake. The beach going out into the lake is completely gravelled. There are some areas where you can moor or buoy your speed boats, canoe or kayak. The lake water on this side of the lake is very clean with swimming or boating just excellent. Make sure you watch your children and yourself near the bushes as there is poison ivy present. 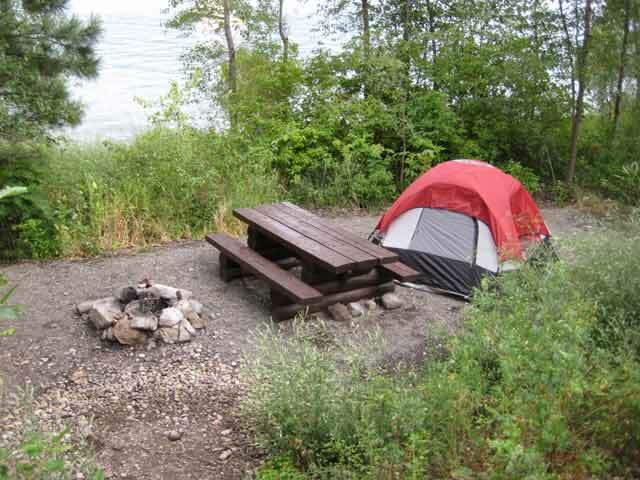 Camping is on a first-come, first-served basis with the Regional District of Central Okanagan (RDCO) operating the park for the Ministry of Forest. The campsite has a couple of pit-toilets - the usual recreation style that usually smell during the hot summer. There is no running water here so you have to pack it in. 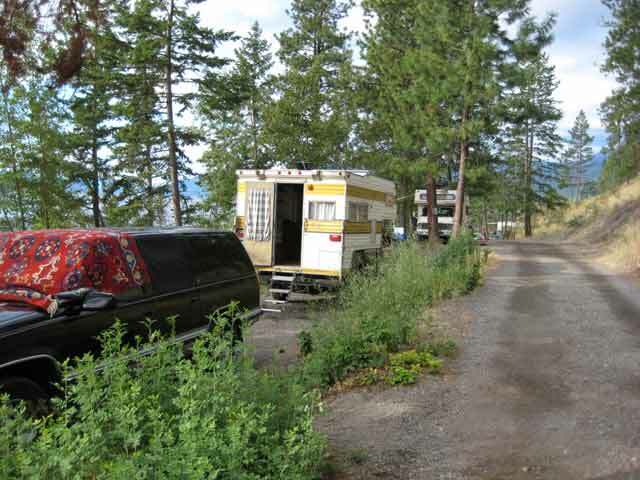 RV Camping parallels one side of the road next to Okanagan Lake with the road being busy during the season. There is a small boat launch at the bottom of the hill near the camp host.